Story: Start your engines! Herbie, the most beloved car star of them all, is back and Lindsay Lohan's got him in Disney's all new revved-up comedy adventure, "Herbie: Fully Loaded." Lohan stars as Maggie Peyton, the new owner of Number 53 - the free-wheelin' Volkswagen bug with a mind of its own - who puts the car through its paces on the road to becoming a NASCAR competitor. 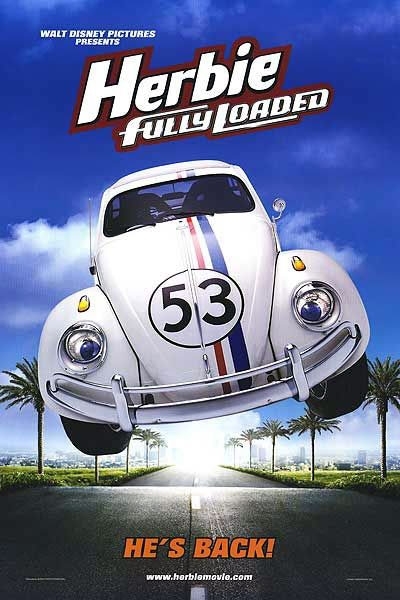 Herbie's got some new tricks under his hood as he takes audiences for an action-packed spin in this high-speed comedy. With an all-star cast along for a wild ride, this comedy puts Herbie to the test - on-road, off-road, on the track and into the record books. Michael Keaton Ray Peyton Sr.
Breckin Meyer Ray Peyton Jr.